in the Course Guide or using the MaineStreet Class Search function. Prepare a draft schedule using the MaineStreet Wish List function. Meet with your advisor to discuss your draft schedule. Make adjustments as appropriate. If you are in a program/major that requires an advisor signature for registration (architecture, art, biology, dental assisting, dental hygiene, English, interdisciplinary studies, medical laboratory technology, music, nursing, photography, and veterinary technology), ask your advisor to “Approve your Schedule” in MaineStreet. Please note, once a schedule has been approved, it still must be processed for registration. If you try to register for a class that is full, please contact the Enrollment and Information Services Center at 1-877-862-1234 to be added to the interest list for the course. If a space becomes available, a staff member will call to offer the open space to you. Be sure to give the UMA representative your name, contact information and the class number and title of the course you’re interested in. 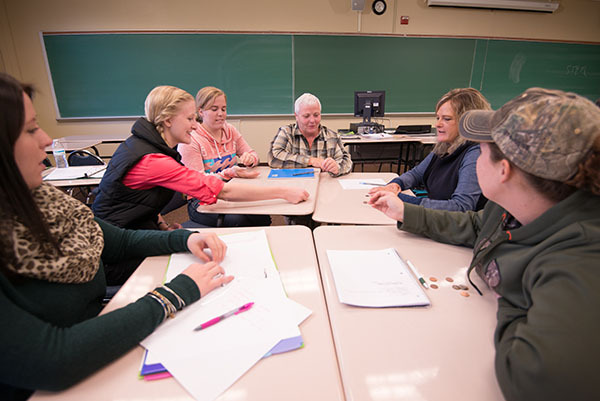 Each semester University of Maine System (UMS) students must complete the Student Financial Responsibility Statement as a condition of enrollment. This statement is designed to ensure your awareness and understanding of billing policies and your financial obligations as a UMS student. Please check your MaineStreet To-Do List to view and acknowledge the statement. Please contact UMA Student Financial Services at 207-621-3412 if you need assistance. Visit Mainestreet to get additional course details, up-to-date information about course availability, and to register for your courses. If you try to register for a class that is full, please contact the Enrollment & Information Services Center at 1-877-862-1234 to be added to the interest list for the course. If a space becomes available, a staff member will call to offer the open space to you. Be sure to give the UMA representative your name, contact information and the class number and title of the course you’re interested in. UMA’s Bangor Advising at 207-262-7800, Monday through Friday 8:00am – 5:00pm. Can’t meet with us until later in the day? We are happy to set up individual appointments after hours if needed. Call us to set up a time that works best for you!